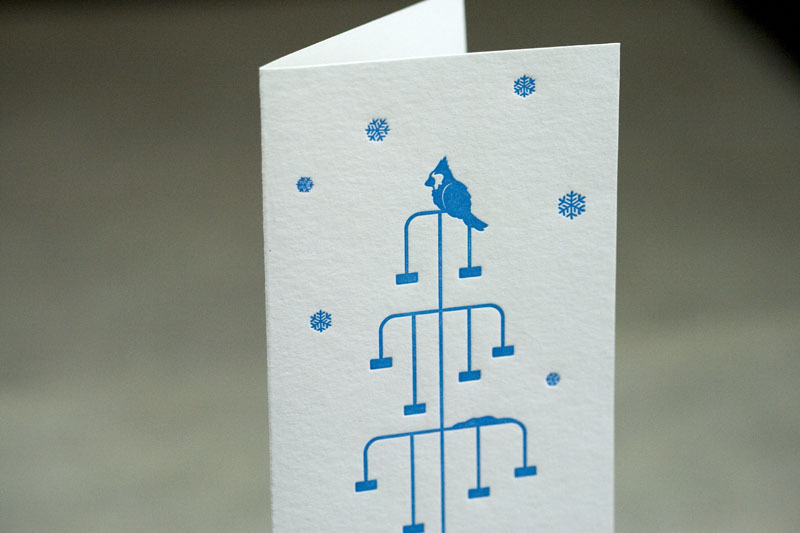 This past Christmas was a busy time for us for printing corporate holiday and thank you cards. 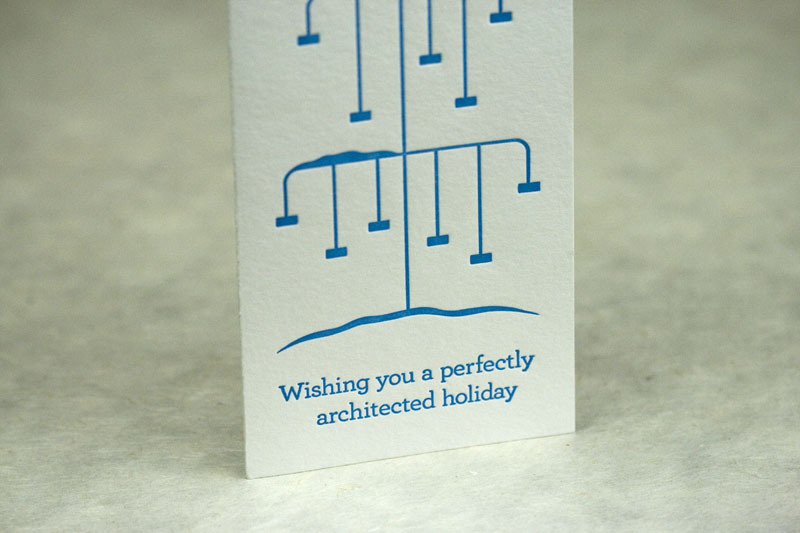 We love when businesses chooses letterpress printing for their cards because it shows that they care about quality and attention to detail…and that’s our modus operandi! 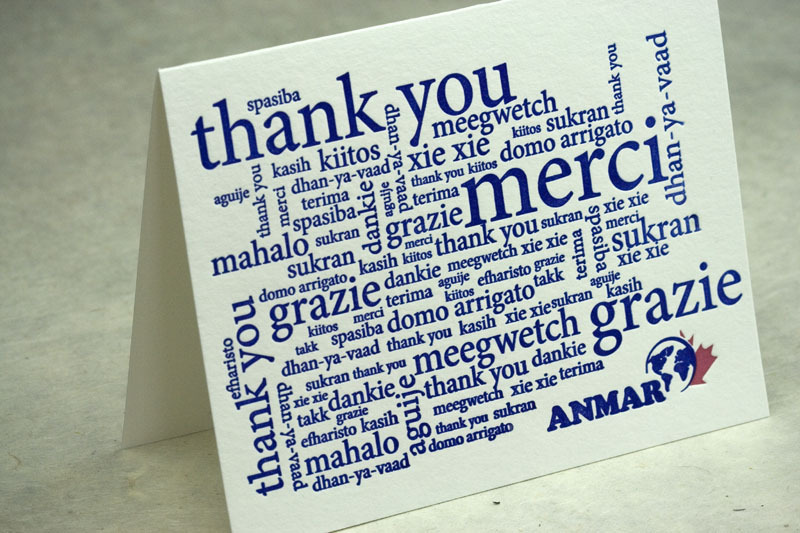 #2 – Thank you card for local Anmar, printed in 2 colours on 265 gsm bamboo paper. 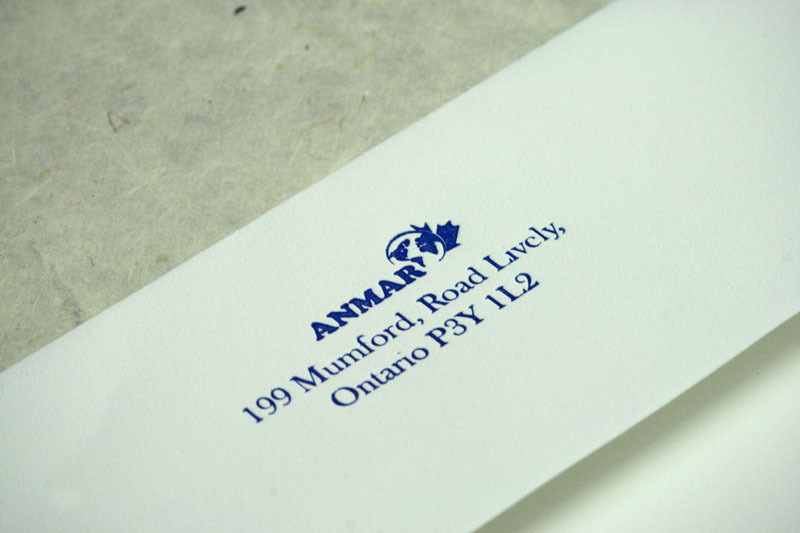 Blank inside with printed envelope. 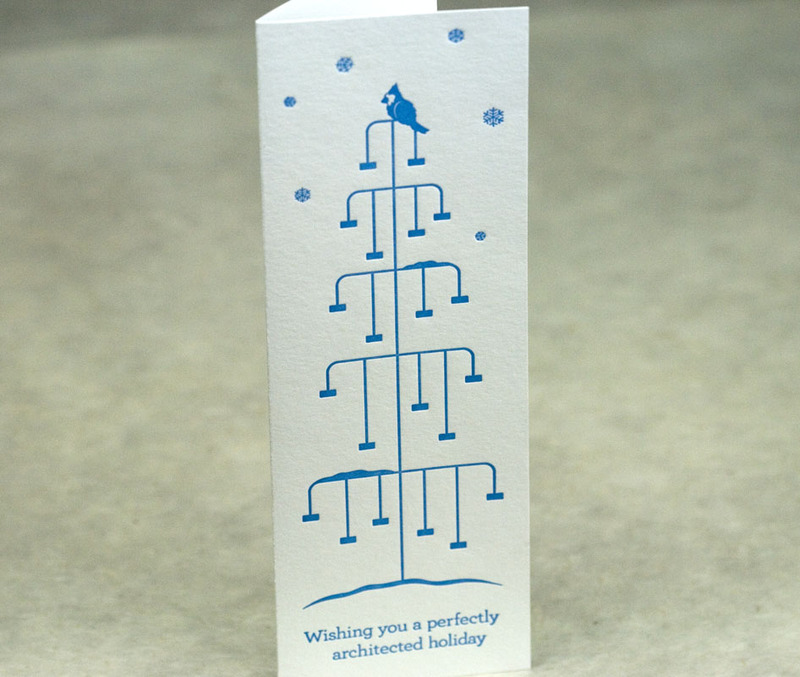 #3 – Our Festive Reindeer card customized for Levert Group here in Sudbury. We customized the bulb colours in the Levert green and red, and printed a 2-colour inside greeting and printed coloured envelopes. 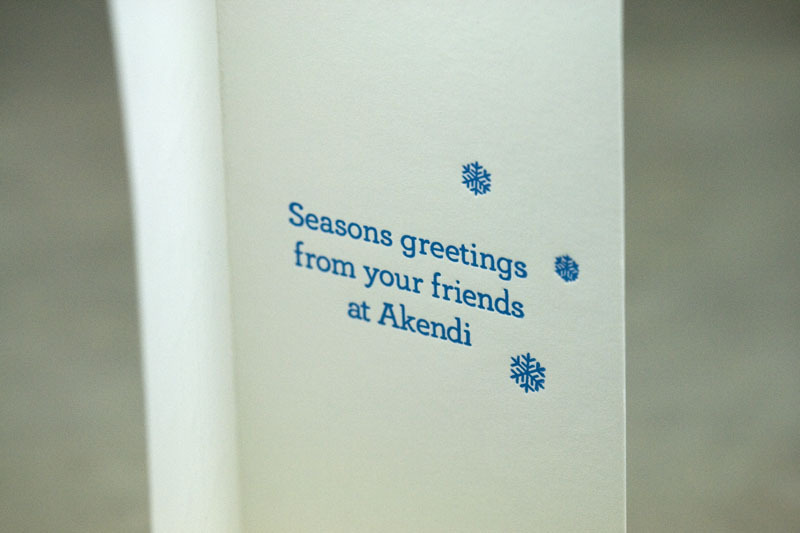 Beautifully vertical holiday card for Akendi, printed with an inside greeting. 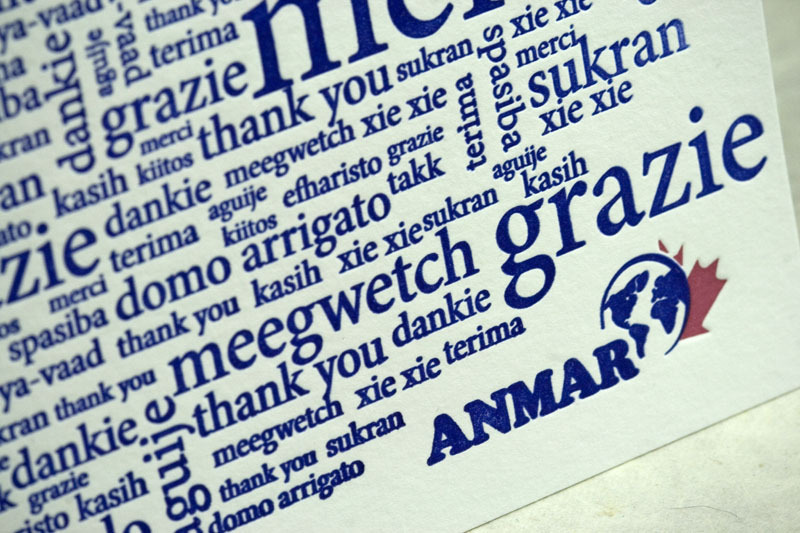 Thank you card for Anmar.